This type of insurance is sometimes referred to as Medigap and is a health insurance policy sold by a private company. The purpose of these insurance benefits is to help pay some of the health care costs left by your Medicare Part A and Part B coverage. These Medicare supplemental insurance policies can help with cost sharing by paying some of your deductibles, co-payments, or coinsurance. 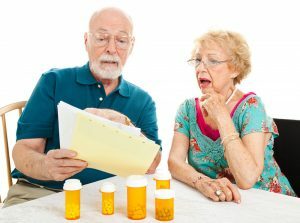 In order to enroll in a supplement plan you must have Medicare Parts A and B, and you have to continue paying your Part B premium on top of the premiums charged by the Medicare supplement plan. Frank wanted to cover some of the gaps left from his Medicare Part A and Medicare Part B insurance coverage, so he decided to purchase a Medicare Supplement Insurance Plan.